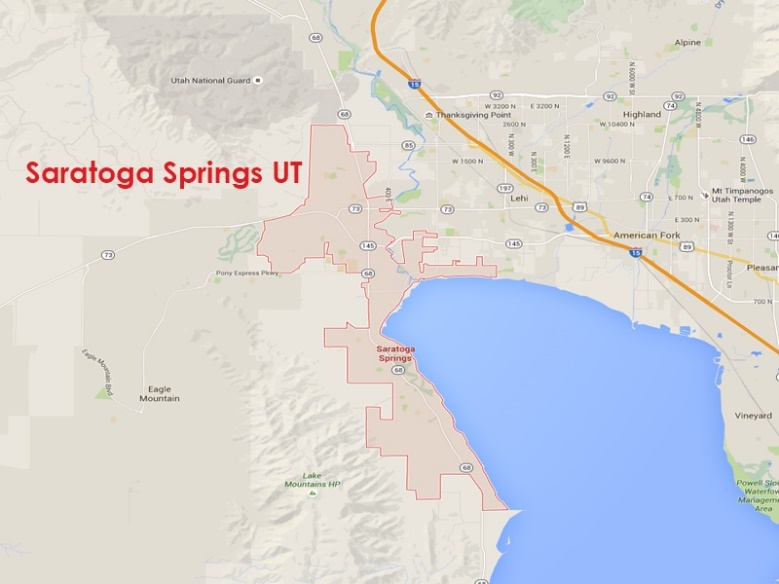 Saratoga Springs UT is at the very north East part of Utah County Located just above Utah Lake. Saratoga Springs is a part of the greater Provo- Orem area East of Lehi. Saratoga Springs was incorporated in 1997. Saratoga Springs is made up of 21 square miles and runs from Pelican Point up to Camp Williams a US Army Base. Saratoga Springs is known for the natural hot springs and for its lakeside views of Utah Lake.